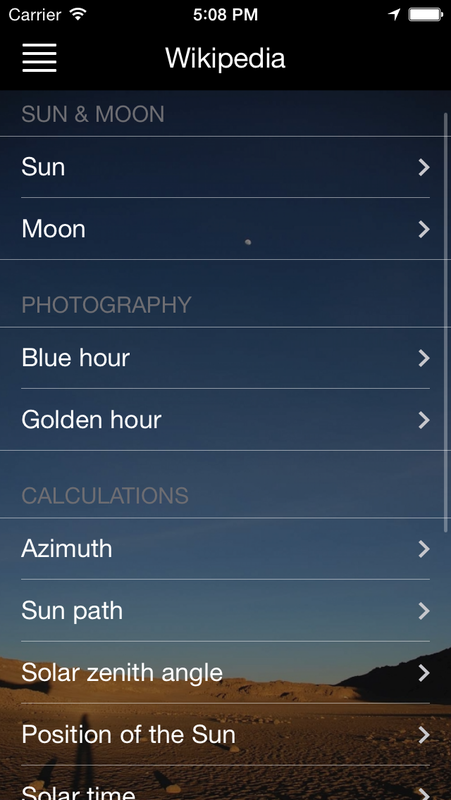 Sun & Moon - App for iPhone, iPad and iPod touch. Slide to the right side or press the top left button to access the navigation menu. Tap on the menu to open the requested view. With this kind of navigation, there is much more space for content on the different pages. 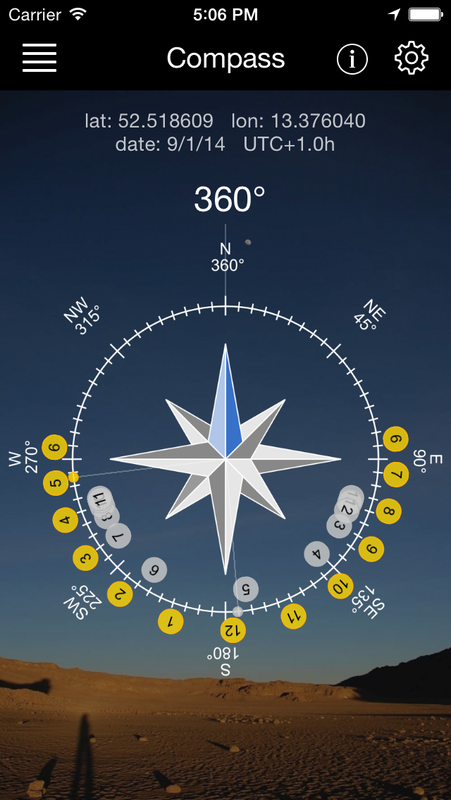 See a top down compass with the sun and moon positions. 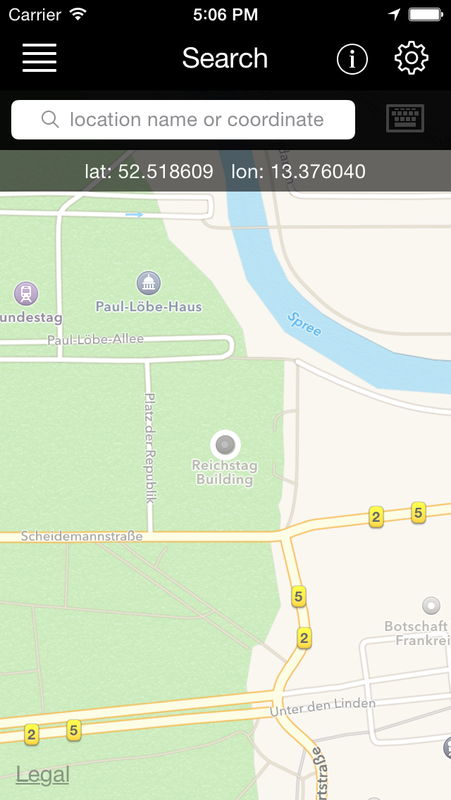 Use it to see the position in relation to your device heading. 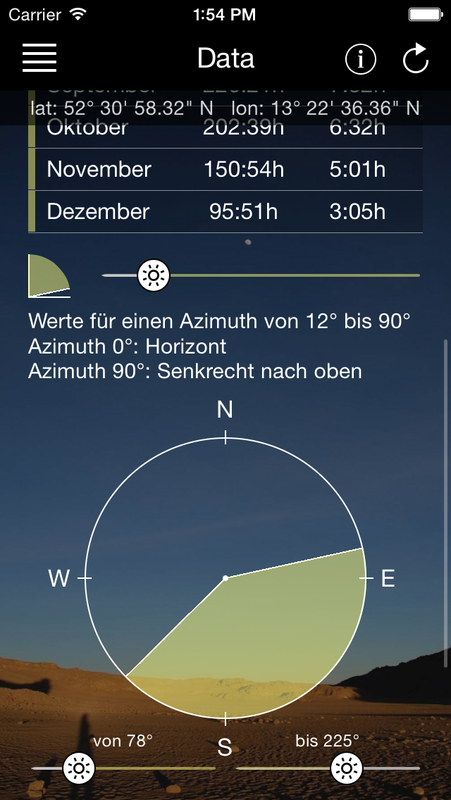 The small dots show the current position of sun and moon. Hold your device in the air, to see if and when the sun will shine down to you. This is great to plan your photographs, videos or your sunbathing time. Look up any address or coordinate and jump to it. This was an often requested feature, so enjoy it! 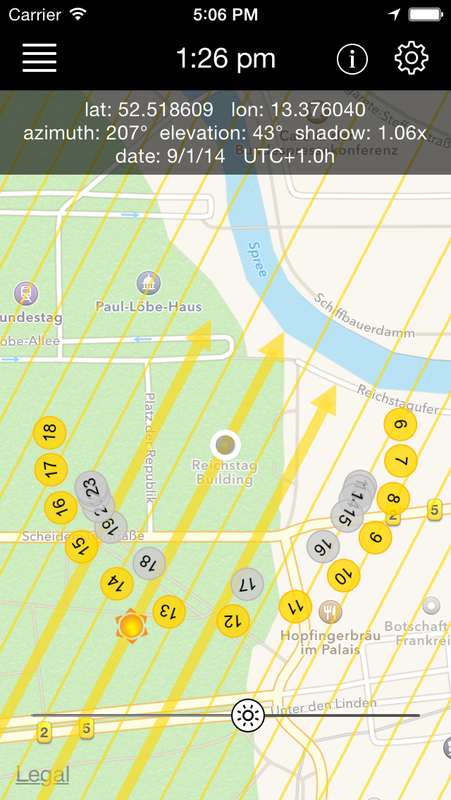 On the map, you can see the sun positions and the beam of sunlight. 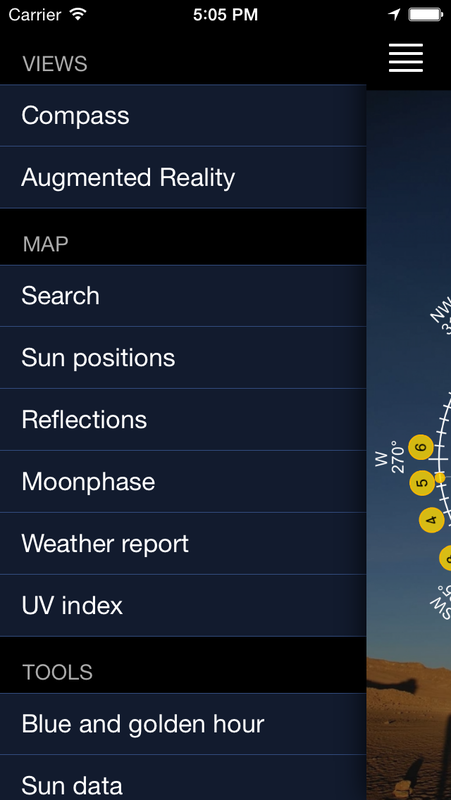 With a slider, you can calculate the time for the optimal sunlight angle. Of course, you can move the map around to see the effects for any desired spot. This map view is more specialized. It is not only designed to show the sun beams, but also the reflection angle of any surface. 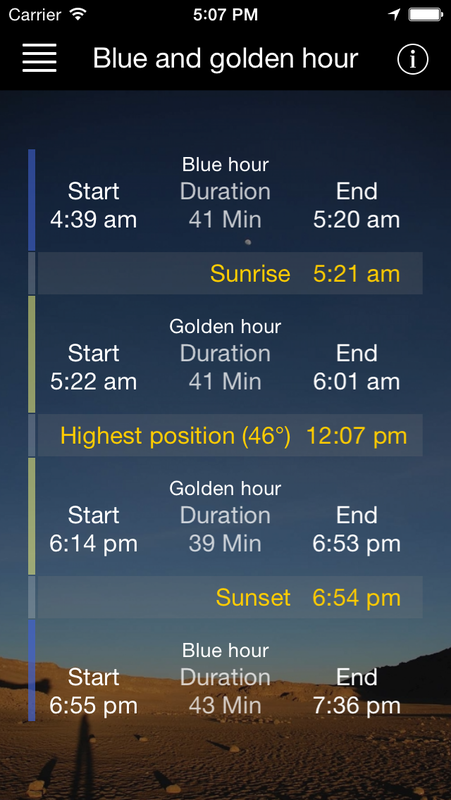 So you can precisely see, where the sun reflection of a glass building will be at what time. 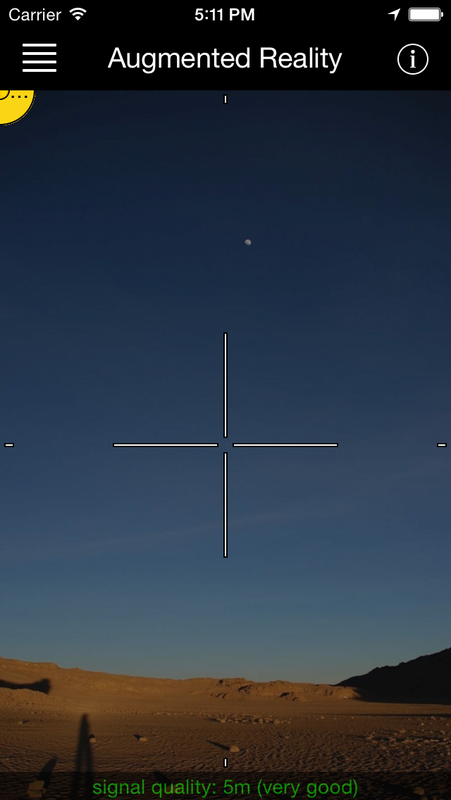 The lunar phase view shows you the visibility of the moon. 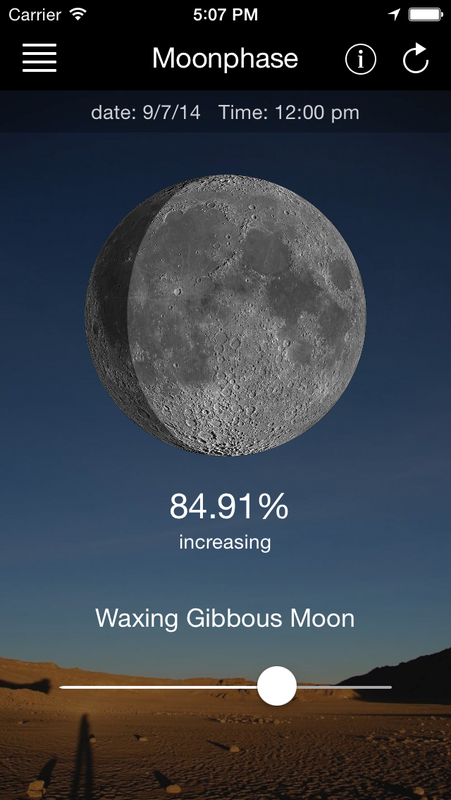 The shadow calculations are very detailed, as the moon is rendered actively for any state. 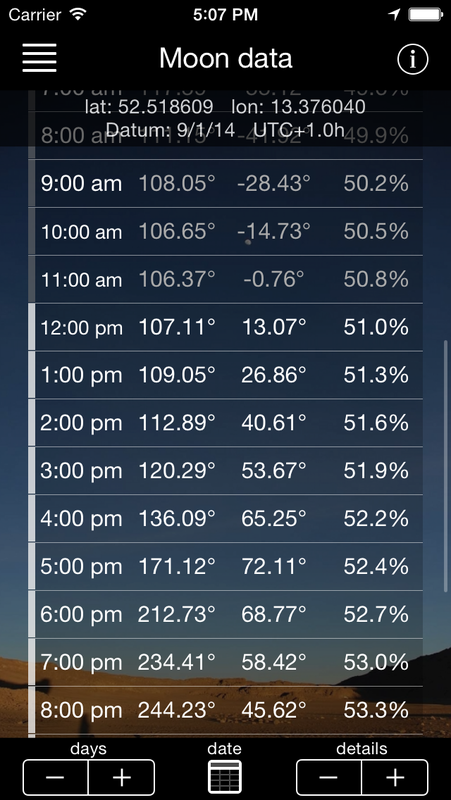 Weather report of the chosen location. 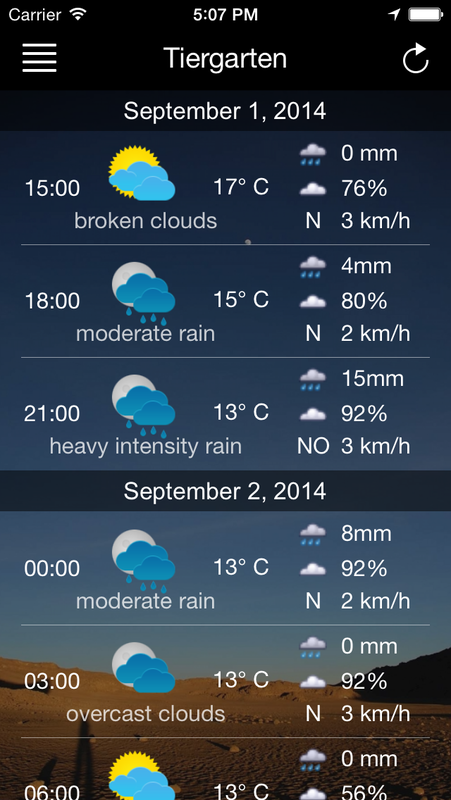 The important parameters for photography like cloud amount and rain probability are included. The purpose of the UV Index is to help effectively to protect yourself from UV radiation, of which excessive exposure causes sunburn and other related damages. 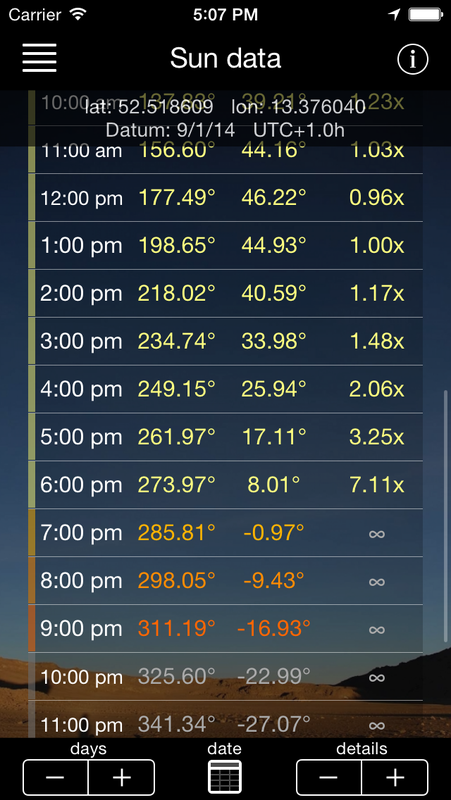 Calculate the most important daytimes of photography. Get the length of blue and golden hour, to plan your trip or photo session. All the detailed position data listed for any time and location. You can increase the detail level up to every minute. 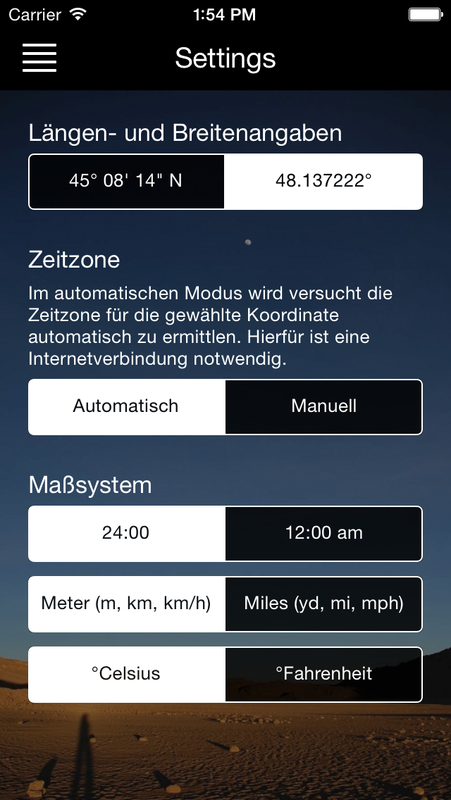 A complex tool to calculate the sun time of a location. It will show you the hours and minutes per month and average per day. You can limit the bound vertically (for example obstacles like houses or trees) and horizontally (like limits of a balcony or solar panel). 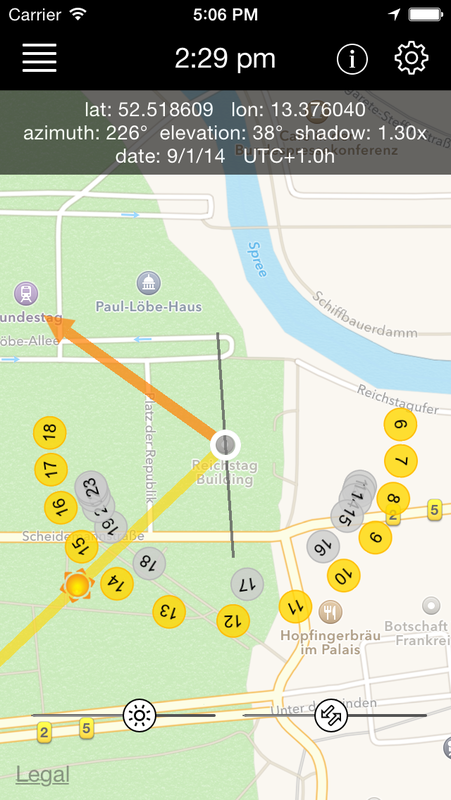 The initial calculation for a location takes a few minutes depending on the device, but once finished, you can adjust or play with the bounds to check the results. Some related Wikipedia articles are included. For explanation and further knowledge of used terms. Basic settings like metric or imperial units and coordinate format.